Production on Guardians of the Galaxy Vol. 3 was met with some unexpected turbulence earlier this year. Disney had come under pressure to fire director James Gunn after several offensive tweets from many years ago were brought to light. 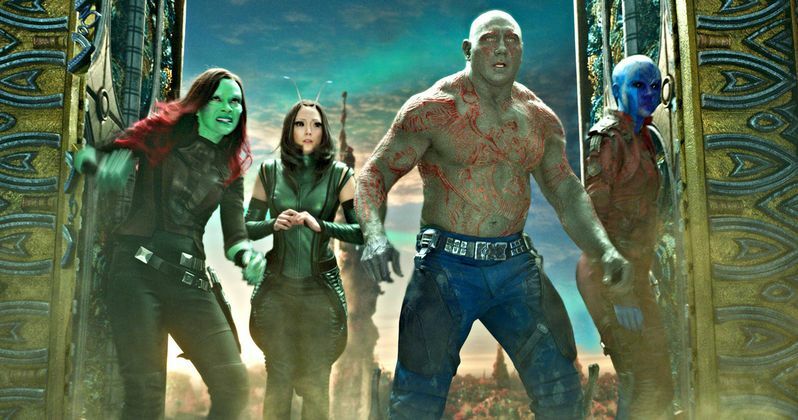 Although the entire Guardians 3 cast stood behind him, Disney relented and cut ties with Gunn, leaving the status of the anticipated sequel in the air. The decision to fire James Gunn as the director of the film has led fans to wonder which direction the story will take. Gunn had written the screenplay to the film prior to the controversy, but it wasn't clear if there were still plans to use his script. Production on the sequel was put on hold while Disney evaluated the situation, but now it's looking like they're going to move forward with using Gunn's screenplay. Gunn's brother, Sean Gunn, plays Kraglin and provides the mo-cap for Rocket in the films. Speaking on the status of the movie, Sean admits he's not entirely certain on when production will begin. However, he does confirm that Disney is still planning to produce the sequel, and they're going to be keeping the script penned by his brother. "I don't really know yet what's going on with Guardians 3. I know that Disney still wants to make the movie. I know that they have every intention of using the script that my brother wrote. Obviously, that was a very unfortunate situation for everybody, most of all him, but I am also somebody who had been preparing to spend half a year making that movie and now that's up in the air." After writing and directing the first two films in the series, Guardians 3 would feel considerably different in tone without James Gunn's involvement. Along with the cast and crew, many fans had been hoping for Gunn to be reinstated. With that not being an option, the next best thing is for the film to still use Gunn's script. The film is bound to feel at least a little different without Gunn in the director's chair, and replacing his script is virtually impossible. One only needs to see the prior films to recognize how deep and well-written their screenplays are, so best of luck to any writer tasked with trying to top it. Of course, this still leaves us with the question of who will be directing the film. As of now, nobody has signed on, but what we do know for sure is that it won't be James Gunn. It seems like this leaves some big shoes to fill for whoever the replacement will be, and there's certainly going to be a lot of pressure on the new director. With a production start date unclear, it seems less likely Guardians 3 will make its targeted release in 2020. Still, as such an important part of the MCU, it's inevitable that we'll see the film hit theaters eventually. Sean Gunn's interview on the film was originally printed by Tulsa World.